Black Galaxy granite is as interesting and as beautiful as it sounds. 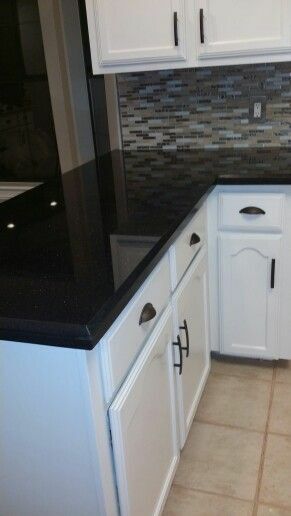 Black Galaxy granite is a highly popular granite option for people looking for a strong, unique, and contemporary countertop look to revolutionize their kitchen. 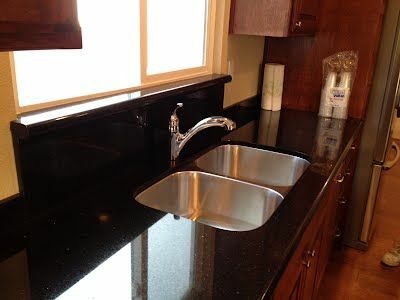 For fans of dark countertops, Black Galaxy granite might be the perfect countertop option for your interior design. Black Galaxy granite is a black stone with bronzite scales sprinkled throughout the stone. This bronzite gives the stone its characteristic space look. There are typically three different kinds of Black Galaxy stone that are determined by how much bronzite exists in the surrounding stone. Black Galaxy granite is from a series of quarries in southern India. This kind of stone is most commonly used for backsplashes or small tiles that can be used as a tile border around your kitchen. However, larger slabs are available for use as kitchen countertops. In addition to the three major types of Black Galaxy, there can be three different kinds of Black Galaxy stone colors. These include black, stone with a greenish/black tinge, and a dark stone with a lighter gray background. These background colors can be attributed to the quarry where the stone was taken from, so slabs from different quarries may have different levels of bronzite and a variation in the background color. 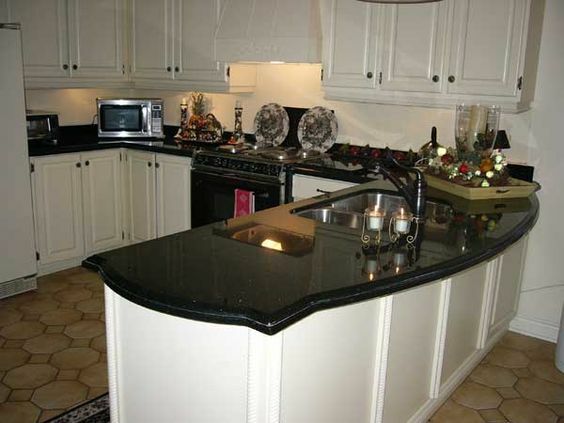 Black Galaxy granite can be used for a variety of purposes. Black Galaxy is often made into small tiles that are used in bathrooms, kitchens, or even in pools. The variations in the stone makes it occasionally difficult to find bigger slabs of the stone for larger projects. Finding stone for kitchen countertops or kitchen islands isn’t impossible, though. Most Black Galaxy is sealed with an epoxy resin to create a smooth surface. This allows the granite to be used for a variety of purposes, including backsplashes, countertops, or a tile border. This also serves to toughen the surface of the stone, make the stone bacteria and stain resistant, and give you a smooth surface to work off of. 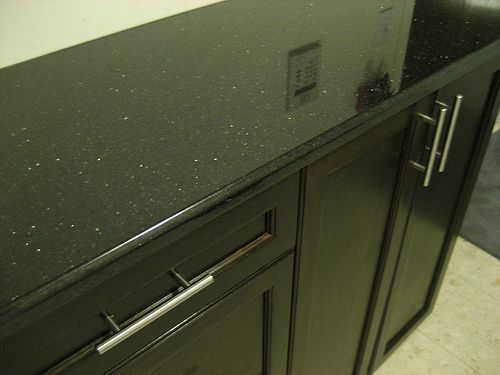 Black Galaxy granite’s dark color doesn’t have to make it a challenge to work with. Black Galaxy can provide a contemporary spin on traditional kitchens. 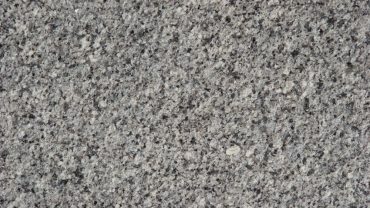 This kind of granite and its color pairs well with white or gray cabinet colors, but can also be used with wood stained or darker colored cabinets as well. When paired with light cabinets or lighter paint and plenty of natural light, this kind of dark granite countertop can add depth and style to your kitchen. Black Galaxy tends to work best with more modern, monochromatic design schemes, but its versatility as a stone and as a design feature in your kitchen leaves many avenues open. The bronzite flecks and occasional veins that run through the Black Galaxy granite can provide pops of color and a unique gleam to the stone slabs. 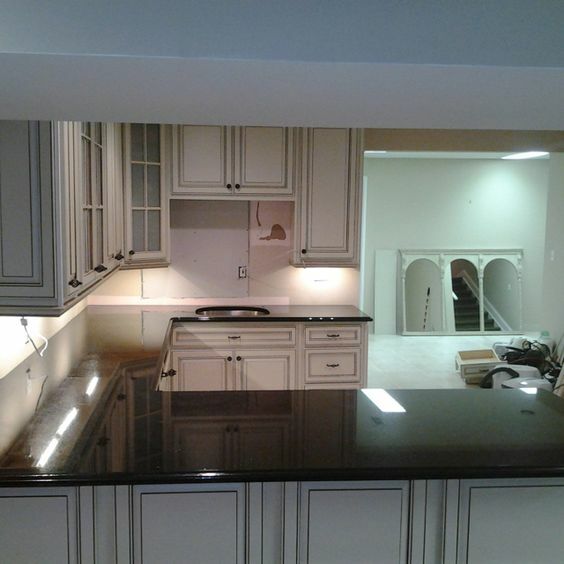 This light golden color can reflect existing natural light in your kitchen and give your countertops a radiant glow. 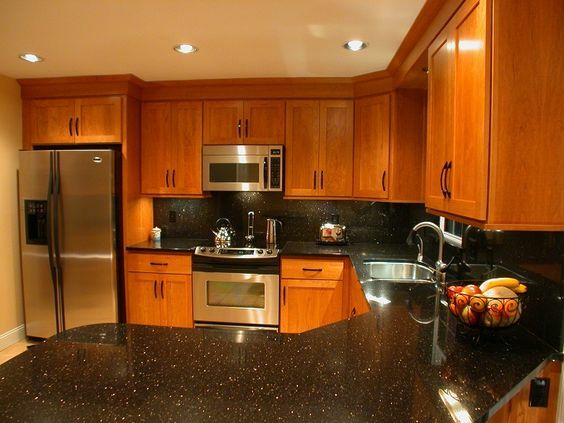 Black Galaxy granite can highlight wood cabinets. Bronzite flecks can be small or large. Black granite can also be paired with other natural stone decor. 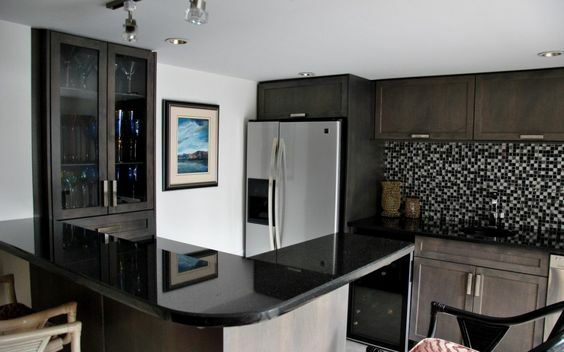 Black granite can pair nicely with white cabinets. 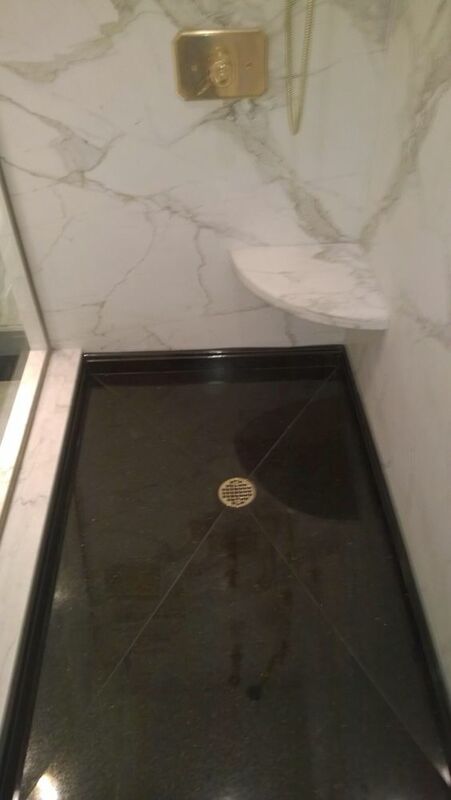 Black Galaxy granite can also be used on other surfaces, like a shower floor. 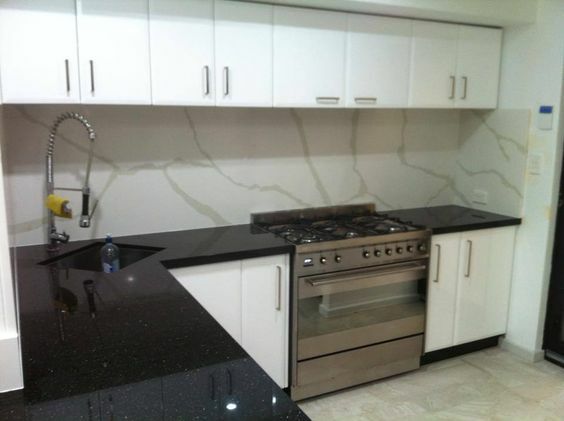 Black granite tiles can also create interesting designs in your kitchen. 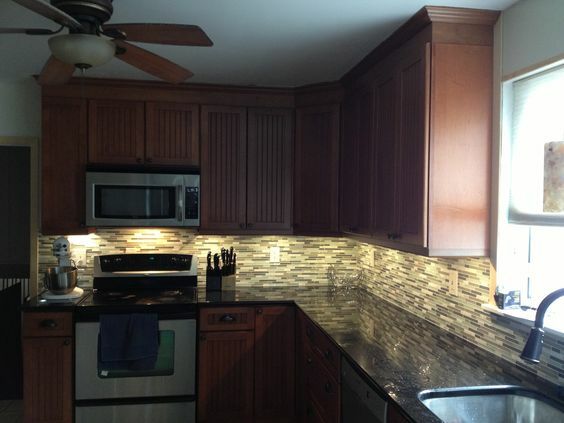 Accent lines on cabinets can tie in dark countertops. Black granite can be curved and edged in unique styles. Add a farm sink to your kitchen. Subtle bronzite flecks can brighten up your dark countertops.